Retirement News > Retirement Planning > Articles > How to Save for Retirement: 11 Smart and Easy Ways to Save More Now! How to Save for Retirement: 11 Smart and Easy Ways to Save More Now! Even if you think that you’re all tapped out, chances are you can fill a piggy bank’s tummy a little fuller. You’ve probably heard a lot of advice about saving more for retirement. And if you’re like a lot of people, you probably think that it’s a great idea — you are just not exactly sure where to find the money. Money can be a sneaky thing. It hides, oftentimes in plain sight. Of course you’d notice an extra $200 in your wallet. But what about 25 cents? Maybe not, but that quarter can make a big difference, too. If you want to save more but genuinely don’t know how to swing it, here are 11 money saving tricks that make it happen. They won’t pinch. And if you start habits like these soon enough, they could make a tremendous difference in your retirement. If you are lucky enough to get a raise at work, you might consider directing the extra money directly into your retirement savings account. You have been living off your previous salary, so you won’t be any worse off now if those funds go into savings instead of getting spent. Getting a raise might be one of the most satisfying experiences. You work hard, and a bump up in pay shows that the company really notices and appreciates your efforts. But what if you hadn’t gotten the raise? Would you suddenly be financially destitute? Probably not. 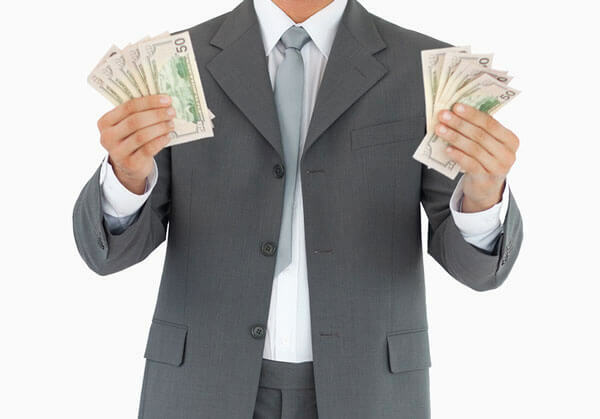 Each time you get a wage or salary increase, do yourself and your retirement a favor. Pretend that it didn’t happen. Instead, pluck that money out of your checking account and put it into retirement. Better still, make the deposit an automatic one. It might help to reset how you think about raises. Can you transform your thinking to believe that the raise is really intended to help you in the future, not now? If you genuinely need more money now, can you at least devote a percentage of the raise to retirement savings? There are different approaches to how to save for retirement. Some people don’t think too much about saving — they just hope it happens. This type of saver might deposit their paychecks and hope that something is leftover as savings. Some people consciously deposit money into dedicated retirement savings accounts. Others automate the process and savings are deducted from their paycheck and automatically added to existing investments. Automating your savings is proven to be the most effective way to insure that you actually save. You don’t have to think about it, it just happens –no hassle, no excuses. Your human resources department or your bank can help you set up an automated system. 3. Figure Out How Much You NEED to Save! Saving for retirement is hard for everyone. Retirement happens in the future and it is kind of an abstract concept. The more you can do now to create a retirement plan and establish a savings goal, the better job you will do of saving for that goal. Retirement calculators can help you figure out how much you need to save for retirement. When you familiarize yourself with the numbers, it can help you feel the real need to save. The NewRetirement Retirement Calculator is one of the most detailed tools available online. It is easy to use, but is designed to help you imagine your future and take the steps you need to take to make that future happy and secure. If you’re a coupon clipper, you already know the excitement of getting a great deal. But has the lack of a coupon ever prevented you from buying something that you wanted? For some big-ticket items, that might be the case. But what about groceries and household supplies? Add coupon savings to your big retirement savings pot, and it might add up more quickly than you realize. Check your receipts, as most stores proudly show how much you saved that day. Then write yourself a check and put it into savings. You’ve earned it. While you’re at it, shop midweek. New sales often start on Wednesdays, and you’ll get the first pick, says U.S. News and World Report Money. Are you one of those people who keeps a precision checking account balance down to the last percentage of a penny? Stop it. No, we don’t mean to imply that you should take on poor money management habits. Quite the opposite. Round up, and pretend that the extra isn’t there. When you make a purchase totaling $5.99, you probably write the exact amount in your register. But would you really miss that penny if you ignored it? Now think bigger. If you’re rounding up, go big or go home. Rounding up every transaction to the next whole dollar gives you an even tidier sum to forget about. Then at the end of the month, go ahead. Satisfy your desire to keep a tidy account by balancing it. Remove what you didn’t realize that you had and tuck it away. This is one of the money-saving hacks that locates truly “found money.” You’ll never miss it because you hadn’t yet seen it. Don’t change your travel plans, just change your lodging. Do you take a vacation every year? Those trips can really add up fast. But what if you could visit all of the cities that you love and spend half of the amount you’d budgeted for? Some bed and breakfasts are most expensive than a hotel. But not AirBnB. This service matches home or vacation homeowners with people who want a getaway. And the prices are significantly less expensive, so you can carve your budget down. When you carve your budget down, you know what to do from there. 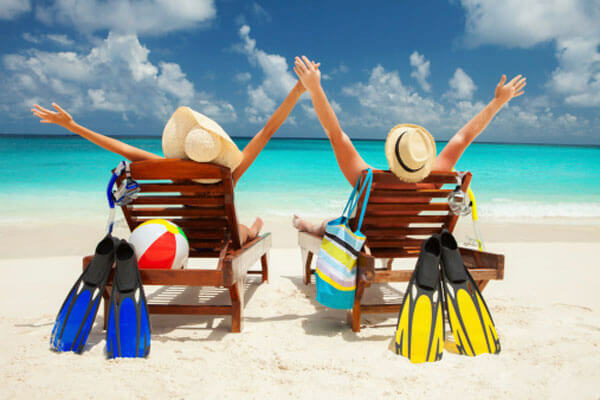 Many families budget for vacation months or longer in advance. So if you travel the thrifty way (it doesn’t have to be AirBnB), take the remainder of your budget and put it into your retirement. And if you like AirBnB enough and have an extra room or two in your home, you could become an AirBnB host and let your home pay for your next vacation. Have you known someone who always had a coin jar someplace in the house? Saving coins is a great habit and one that can add up surprisingly fast. This might be a difficult habit for someone who prefers to use exact change, but it’s worth at least trying. If you buy a coffee on your way to work, toss the coin change into a bin, cup or coin purse. Pay for lunch with cash? Save the coins. Wherever you spend cash, keep those little metal discs aside. At the end of the day, plunk all of the change that you haven’t spent into a piggy bank. If you really want to be ambitious, try to get your hands on an empty water cooler jug. According to Bill Carey for the Journal News, a lot of people save money this way. Depending on which coins make it into the jug, you might have several hundred dollars once it’s full. Or you might have a few thousand. Is there anything more exciting than paying off a bill? Maybe it’s a car, or maybe it’s a credit card. Whatever you’ve buckled down and paid in full, shift that payment amount into savings before you grow accustomed to having it available to spend. Jack Coleman for Daily Finance calls it the lifestyle creep. You got along just fine while paying off the debt. You’ll get along just fine without adding the amount back into your usable income once it’s paid off. Some payments can make a huge difference. If you’re paying a few hundred dollars monthly for a vehicle, your retirement savings will jump nicely every month once you’ve redirected that amount into your future. 9. Save More When the Kids Fly the Coop! If you have kids, I don’t need to remind you that they are big expenses! If you are lucky enough to get a tax return, this is an excellent opportunity to boost your retirement savings. Sure, there is lots you could spend the money on, but why not invest in your future security and happiness? 11. How to Save More for Retirement? Outsmart Yourself! All of the ideas listed above about how to save more money for retirement are just tricks. You don’t need to find new sources of income, you just have to rethink your existing spending. Sometimes you have to outsmart your money. And sometimes you have to outsmart yourself. 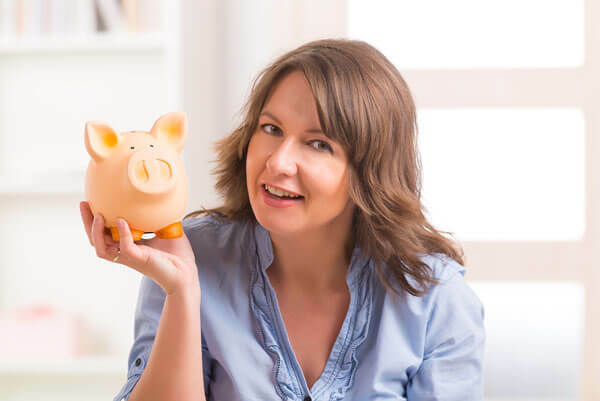 Unless you’re truly living on a shoestring with nothing to spare, you don’t need a second job just to find a little extra cash for your retirement savings. Instead of looking for large chunks of money, think about ways to save that are a whole lot smaller. The trick is doing that regularly. A $500 deposit certainly makes a great addition to your IRA or another account. But if you consistently find and shift underutilized money away from your regular spending pot, it will eventually add up to the same deposit. The difference is, it didn’t pinch at all. Looking for more ways to save for the best retirement you can have? Start with our retirement calculator. At NewRetirement, we help you imagine your future and find the path to getting there.